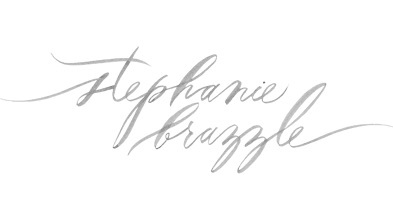 Did you catch the latest Bridal Buzz eNewsletter? If not, be sure to sign up to have this monthly newsletter sent straight to your inbox each month! 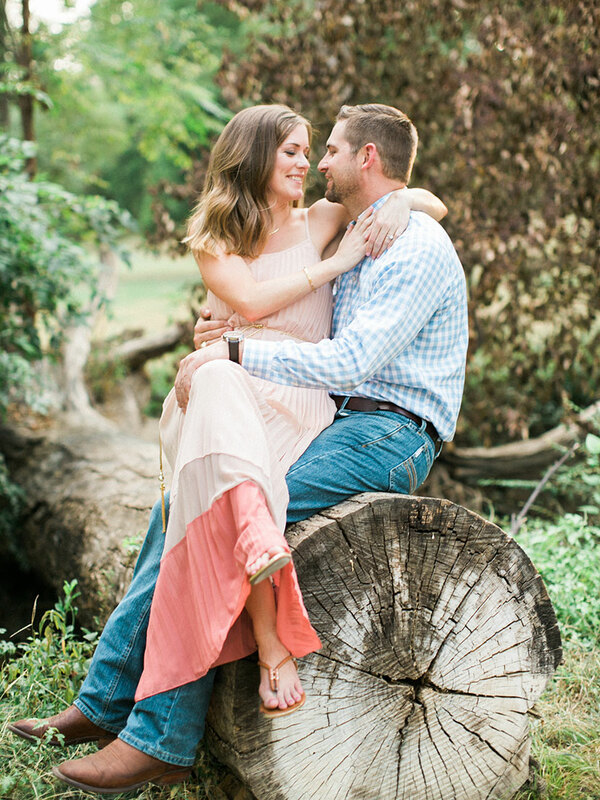 This month we featured Sara and Cody’s Texas lakeside engagement photos captured by Stephanie Brazzle Photography. 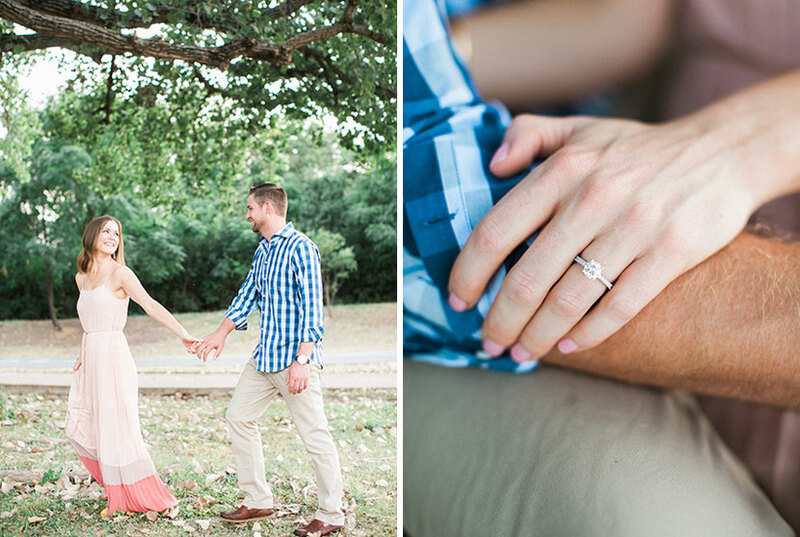 Check out their proposal story below! 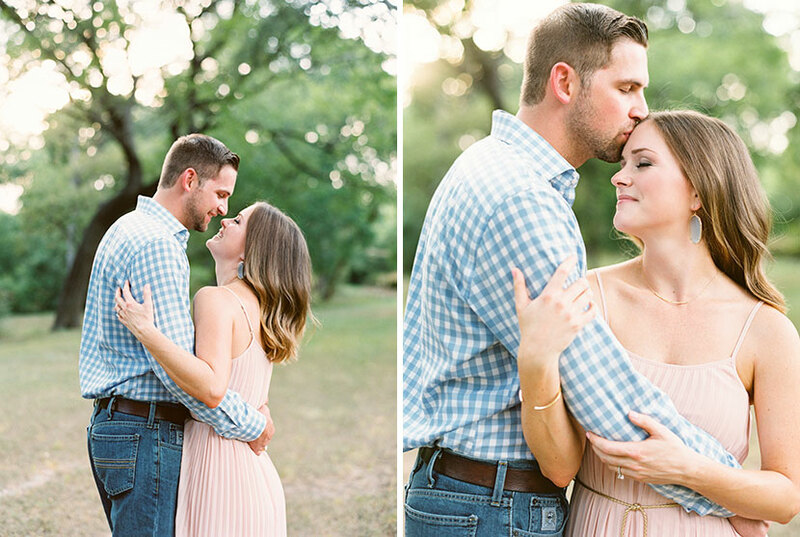 Sara and Cody first met five years ago at College Station when Sara went to visit her cousin. Cody was taking classes Texas A&M and Sara was living in Dallas, so the two didn’t see each other again until a few years later when Sara’s cousin got married. Remembering Sara, Cody planned on asking her out on a date at the wedding and was later approached by Sara’s sister and cousin assuring him that the two would make a cute couple. Having the confirmation he needed, Cody asked Sara out! On September 12, 2013, Cody drove from Houston to Dallas for their first date and the two have been together ever since! In the summer of 2015, Cody and Sara, along with two other couples, went on vacation to the Dominican Republic. On the second night of their vacation, Sara and Cody had made plans to meet their friends down on the beach before they headed to their dinner reservations. As the couple got close to their friends, Sara noticed the other two couples started walking even further away, toward some surfboards lying in the sand. Sara was completely confused until their four friends lifted up a surfboard with the question, “Will you marry me?” on the bottom! As soon as they lifted the boards, Cody dropped down on one knee and proposed! 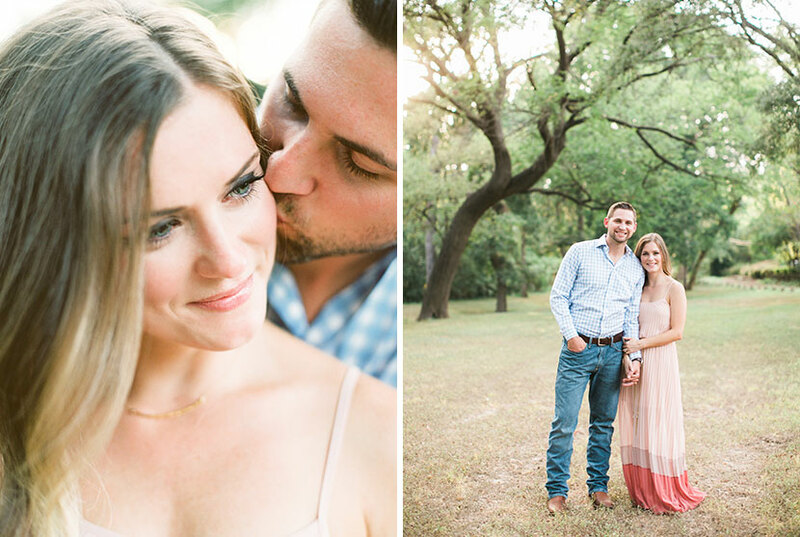 Sara and Cody will be married this spring at the gorgeous Dallas Arboretum! 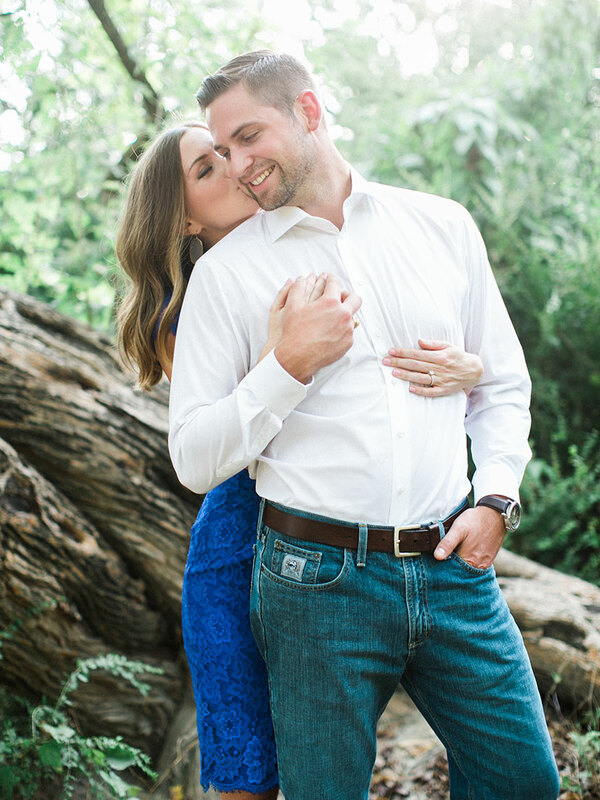 Thanks to Stephanie Brazzle for capturing these sweet engagement pics! Congratulations to the happy couple!